I've read a few blogs that are naming their guilty pleasures & decided to join in on the fun! (Thanks to Breakfast at Toast for the idea!) Okay lovelies, let's dig in! 1) I LOVE TV! I watch and dvr hours and hours of tv every week. Now granted, it might take me a few weeks to catch up on a show, I still love watching them! My favorites are Vampire Diaries & Grey's Anatomy. I know, I love anything that has to do with vampires! Yum! Definitely my guilty tv show pleasure! 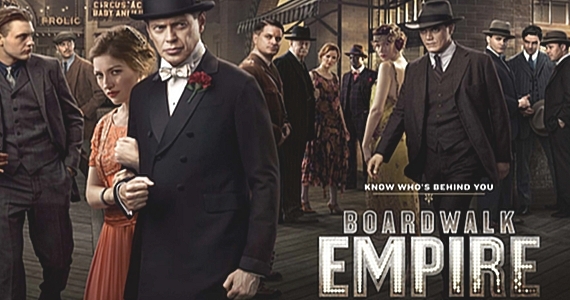 Also, anyone catch the season premiere of Boardwalk Empire?! Awesome! I love HBO series, and Boardwalk is one of the best! 2) Shopping online. I could shop online for hours! I know what size I wear and what I like, so shopping online is quick and easy. I actually get 90% of Bella's Christmas gifts online. Beats going to a mall and waiting in line forever! 3) Food. I am currently dieting to get ready for our Disney Cruise next year, but gosh how I love to eat! Give me some Puerto Rican, Mexican, Italian, or even just really good bread with cheese & I am in Heaven! Food can actually brighten my mood if I know I'm going to eat something delicious tonight. Reminds me of Christmas! Yummmm!! 4) Makeup & hair products. Yep I'm a stickler for expensive makeup & hair products. I love Redken's Blonde Glam, anything from Aquage, & Bed Head's Afterparty. I keep trying the lower priced grocery store kinds, but my hair just doesn't like it... shocking I know! Makeup I could go on & on, but my absoute favs are BareMinerals. They are Ah-Maz-Ing! I've used them for at least 5 years and would never buy anything else! 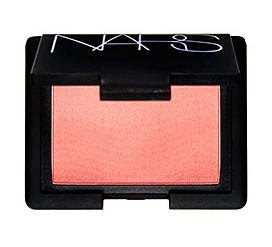 I just bought Nars Blush in that lovely named one (you ladies know which one I'm talking about!) and it's perfect on my face! And yes, I went to Nordstroms.com and ordered it without trying it out, somehow I knew it would be awesome! So what are your guilty pleasures? !